A senator, Stella Oduah, said the Peoples Democratic Party, PDP, had not learnt from its past mistakes, contrary to recent public “undertakings” by its leadership. She said at the News Agency of Nigeria Forum in Abuja that the party had resumed the denigration of internal democracy characterised by impunity and imposition of candidates on members and other misdeeds. Ms. Oduah recalled that impunity, imposition, disregard for members and other acts of irregularities in the party’s activities led to its losses in the 2015 general elections. disobedience to internal democracy tenets, were recorded in the party’s recent governorship primary election in Anambra. According to the lawmaker, who was an aspirant in the governorship race but withdrew hours before the primary election, the party did not employ due process in conducting the exercise. She said that those in charge of the primary imposed a candidate on the members and disenfranchised other aspirants and delegates. 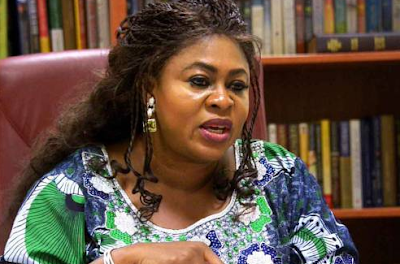 Ms. Oduah, who represents Anambra North Senatorial District at the Senate, said that she had petitioned the party’s leadership on the issue but was yet to receive a response. “I am still waiting for the party to address the concerns and the issues that I raised. “The issues essentially boil down to the fact that the party’s constitution clearly states how primary elections should be conducted. “It stated the stages the exercise should go through and for each stage, it spelt out a check, and that check is to address the grievances that may come as a result of the process. “Mine was very clear; I raised alert on the defects I noted. I wrote, complaining and insisted that failure to address those concerns, I wasn’t going to be part of that process,” Oduah said. She said that it would have been illegal and unjust for her to be part of the process to the end. According to Ms. Oduah, it is like knowing that a hole is somewhere then you are blindly walking into it. “Anything unjust is totally unacceptable for me, and that is where we are now, waiting for the party to address those concerns,” she said. She said that imposition and disenfranchisement were part of the problems of the party in the past, adding that there was always a penalty for wrongdoings against party members. The legislator restated that if the party failed to address the concerns raised by her and other contestants in the Anambra primary poll, “then the party has not learnt from past mistakes”. “If you have done something that made it impossible for people to exercise their rights, you disenfranchise them in the process and had a resultant effect, and you repeat it, obviously you haven’t learnt your lessons. “I wish the party will revisit and address all the concerns. “This is necessary because when people are aggrieved and you are not concerned about those grievances, you are saying two things: `go to hell’ and “there is nothing you can do about it,” she said.